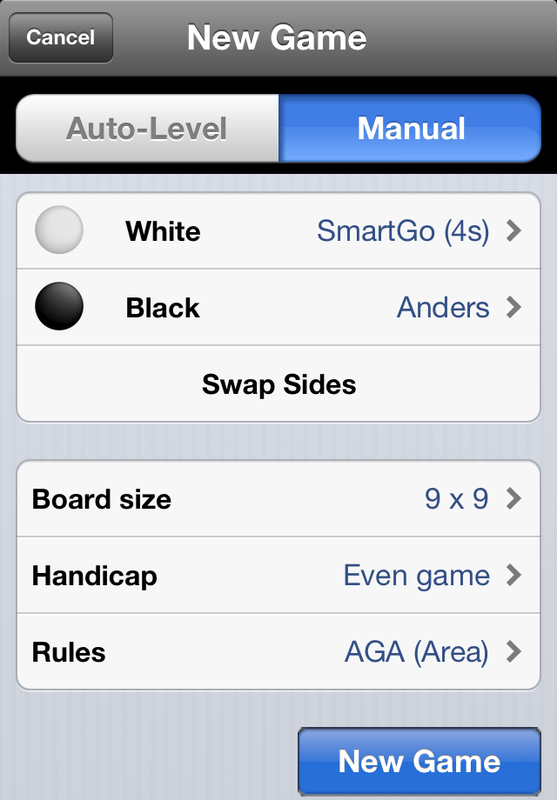 The New Game screens in SmartGo Kifu and Player 2.1 have been restructured to make them easier to use. It was some of the first code I had written for iOS, and the UI was a source of confusion for users, generating a number of support issues. 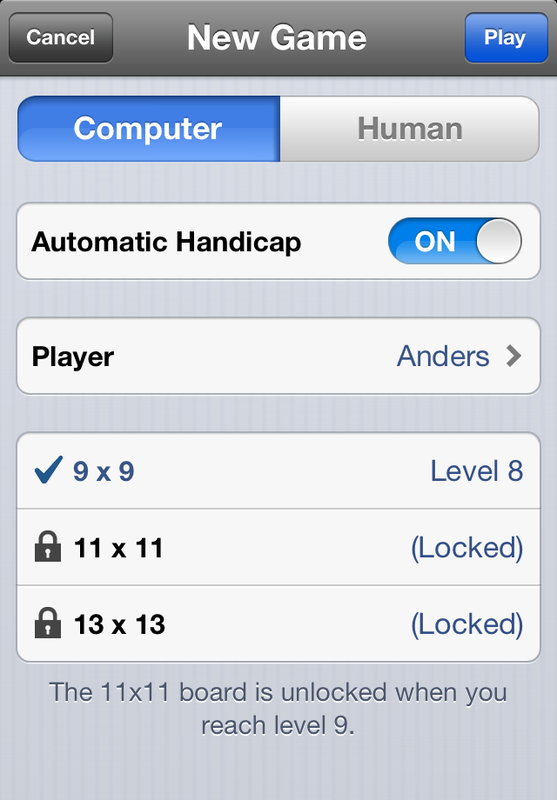 Before: The top-level split was between using the automatic level adjustment and manually setting up the handicap. Simple enough if you wanted to play against the computer, but it was not obvious that you could play two people against each other by setting the names to anything but ‘SmartGo’. After: The main split is between playing against either the computer or a human player. 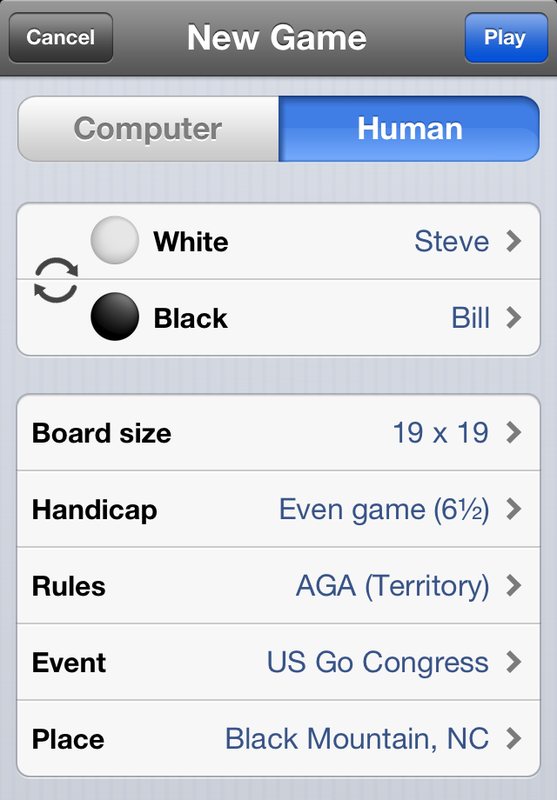 When playing against the computer, you can choose to use the automatic handicap adjustment, or manually set up board size and handicap. For recording human games, you can now enter the player rank as well as event and place (no need to go to the Game Info to add that later). How do you delete a player? At what level are bigger board sizes unlocked? And in case you didn’t know yet: Hold down the arrows that swap black and white to get a random nigiri choice.